"So sorry to hear this. Me and my siblings and the Prager's..."
"I will miss The Walnut Grove folks on Saturday...sending my..."
"I remember John well from high school and I'm sorry that I..."
"I saw John's obituary in yesterday's paper. I remember him..."
"John, u were an inspiration in all of our lives going to..."
John N. Prager, a Vancouver, WA native, passed away on November 18, 2017 at the age of 68. The eldest of eight children born to Kenneth and Veronica Prager, he graduated from Hudson's Bay High School in 1967. He recently attended his 50th class reunion and enjoyed reconnecting with former classmates. 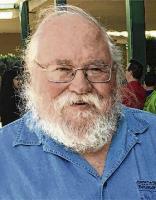 John attended Clark College before transferring to Western Washington University in Bellingham, where he studied sociology and anthropology from 1969 to 1972. While studying in Bellingham and working in La Push during the summers, John developed a love for the Olympic Peninsula moving to La Push in 1975. He worked for the Quileute Tribe Fisheries as a traditional territories researcher in response to the "Boldt Decision" protecting tribal fishing rights. It was there he met his wife and lifelong partner of 42 years, Peggy (Beck) Prager. He later worked for Ulin's Auto Parts in Forks from 1978 to 1989. During this period, John and Peggy pursued their love of the Olympic Peninsula, fishing, camping, gardening, exploring and happily participating in Forks community life. In 1989, John and Peggy moved back to Vancouver, where he worked as a salesman for Winzer selling heavy equipment and machinery parts. John was taken from us too soon and will be missed beyond words. His laughter was infectious, and his generosity and kindness was felt by every one he touched. His love for knowledge and sharing it was a great joy for him. John was the family chef and his cooking was better than that of most restaurants. John's most endearing quality was his love for and devotion to his wife Peggy and his family. His grandchildren, nieces and nephews put a sparkle in his eyes. He leaves his wife, Peggy; children: Becky Brewer (Marshall), Kevin Hasely (Vicky) and Rachel Beck; grandchildren: Savannah, Brandon and Nylah Brewer, Ethan and Evan Hasely; siblings: Timothy (Donna), Terry (Nancy), Michael, and Joseph Prager (Nancy), Paula Empting, and Kenneth Prager (Kim). His brother, James, preceded him. A Celebration of John's Life will be 1 p.m., Saturday, December 16, at All Saints Episcopal Church, 2206 NW 99th St., Vancouver, WA 98665 with reception to follow.